The 2.5x20 Deer Hunter Riflescope from BSA Optics is a lightweight durable riflescope designed for shotguns and rifles. The wide field of view, 4-inch eye relief, and metal crosshair reticle make this model well-equipped to handle a variety of short range targeting applications in daylight. This Deer Hunter features a weather-sealed housing, nitrogen filled one-piece tube, and fully coated optics that ensure bright and clear sighting even in pouring rain and humidity. This scope is configured with 2.5x magnification for enhanced situational awareness, an easy focus eyepiece, and 1/4" fingertip-adjustable windage and elevation turrets for accurate, repeatable targeting from one shot to the next. 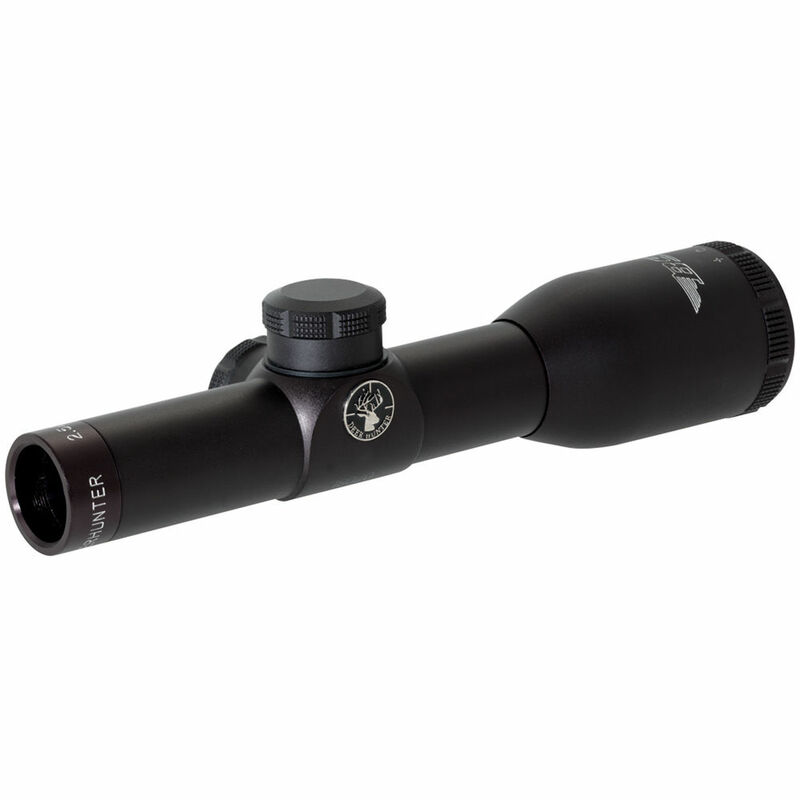 Weather seals and shock-resistant construction ensure that this scope will withstand the rigors of harsh weather conditions and long treks into the wilderness. Multiple coatings applied to exposed lens surfaces deliver maximum brightness, clarity, and abrasion resistance.